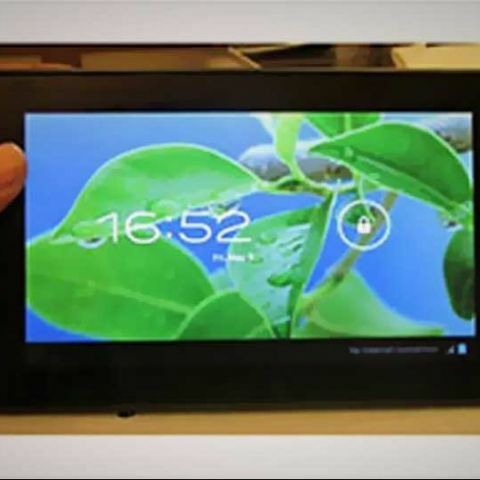 The next iteration of the ultra low-cost Aakash tablet may hit production next month. Union minister Kapil Sibal has announced the production of the next gen Aakash tablet, dubbed Aakash 4, will begin in January next year. According to the minister, price of the new Aakash tablets will be slashed by Rs. 1,000 to Rs. 1,5000 in a year. "Aakash 4 now has been tendered for manufacturing. From January 2014, Aakash 4 which is like any other modern tablets in the country, is going to be manufactured by several players. (As many as) 18 people have actually participated in the tender," Sibal is quoted as saying. The new generation Aakash tablet will have a 7-inch display, 4GB built-in storage, external memory card slot with suppport up to 32GB, front camera and connectivity options such as 2G, 3G, 4G, Bluetooth and Wi-Fi. According to reports, the Directorate General of Supplies and Disposals, has already floated tender for Aakash 4 tablet. It's notable the original Aakash project was spearheaded by Canadian company DataWind. However, the project was marred by a spate of controversies and delays. DataWind formally announced completion of the Aakash project in May this year. The Aakash tablet, the Indian government's ambitious ultra low-cost device, is aimed at bridging the digital divide in the country. Which graphics tablet to buy?